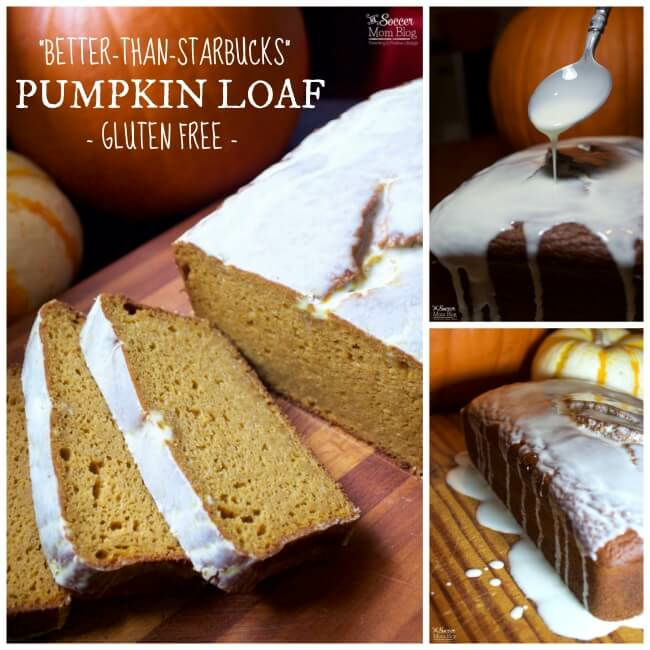 Who doesn’t love that glorious Starbucks Pumpkin Loaf? Just like the return of the Pumpkin Spice Latte, pumpkin pound cake is one of those special treats that I look forward to every Fall. However, it really is one of those special occasion treats, just like any other dessert made with wheat. 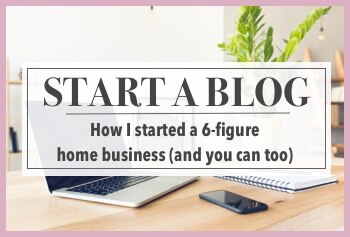 No matter how much I love it, there’s no getting around the bloat that comes with it. Out-of-this-world delicious, impossibly moist and decadent, AND you can eat it anytime without feeling crappy afterwards! Yep, I’d say it’s definitely earned it’s name! A free printable copy of this Gluten Free Pumpkin Bread recipe is available at the bottom of the post, as well as a recipe demo video! 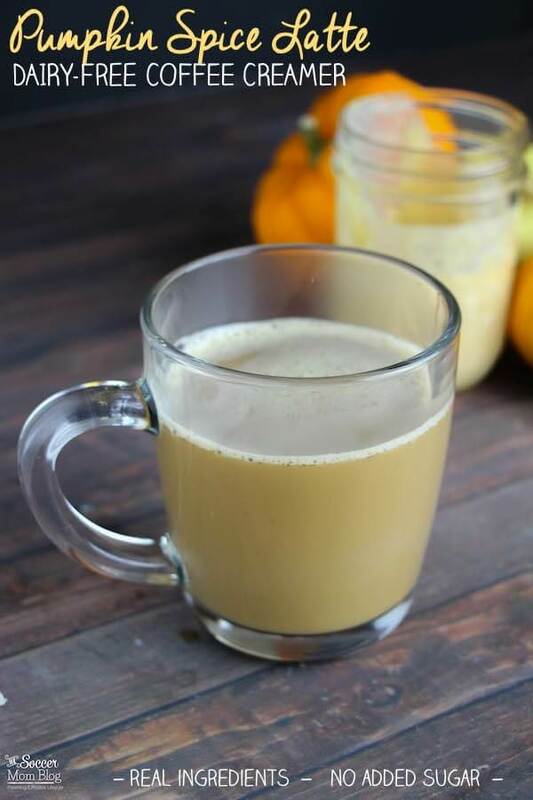 For your convenience, I’ve included shop-able ad links to some of the supplies used to make our gluten free pumpkin pound cake; disclosure policy available here. My husband has played around with just about every type of gluten free baking flour, from almond flour to sweet potato starch. However, for this recipe, he used a combination of brown rice flour and tapioca starch to create the perfect pound cake texture. Brown rice flour gives our copycat Starbucks pumpkin loaf a fine, fluffy texture, and tapioca starch binds it all together, while maintaining that light fluffy feel. If you’ve ever tried gluten free bread and it kind of crumbled apart, that is what our gluten free baking mix will prevent. It feels and tastes just like “real” bread! 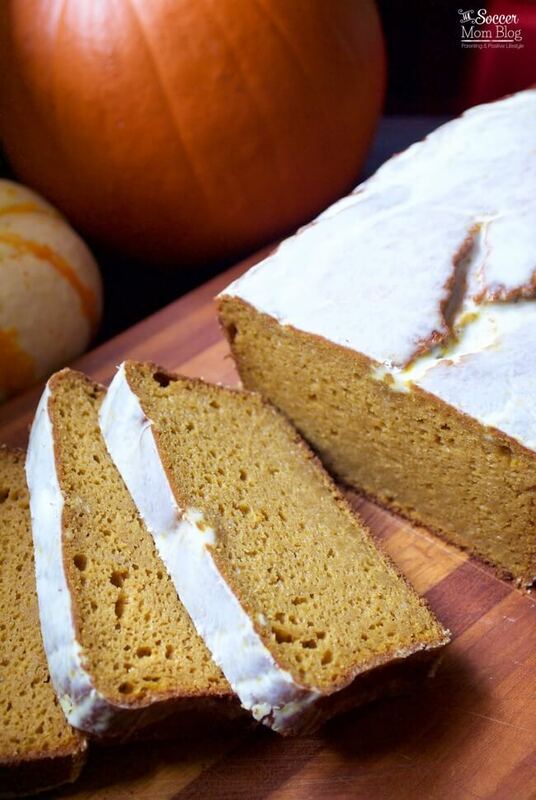 If you already have a store-bought gluten free baking mix on hand at home, you can substitute 2 cups of that baking mix for the brown rice flour and tapioca starch in our gluten free pumpkin bread recipe. (Many gluten free baking mixes will contain tapioca starch). 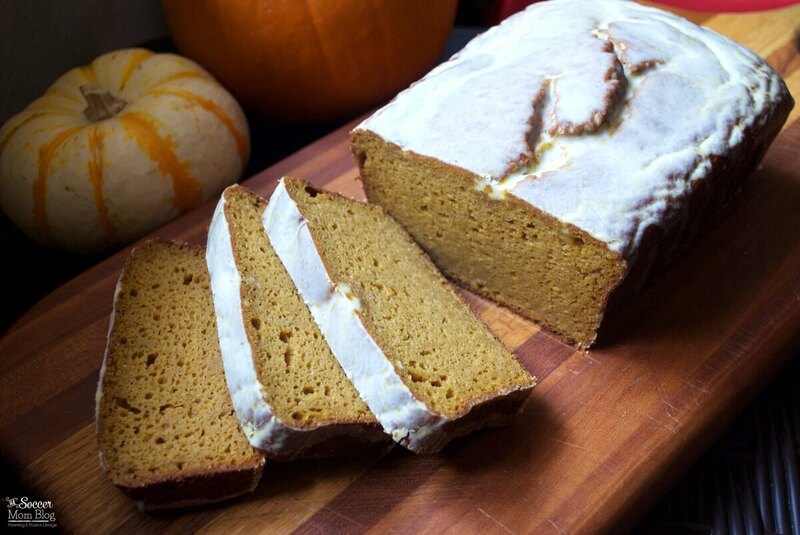 To make our copycat Starbucks pumpkin pound cake a dairy free recipe, substitute mayonnaise for the sour cream in the recipe. Be sure to grease up your 9×5 loaf pan with either butter or non-stick baking spray. That way your pumpkin bread will pop right out when it’s done! 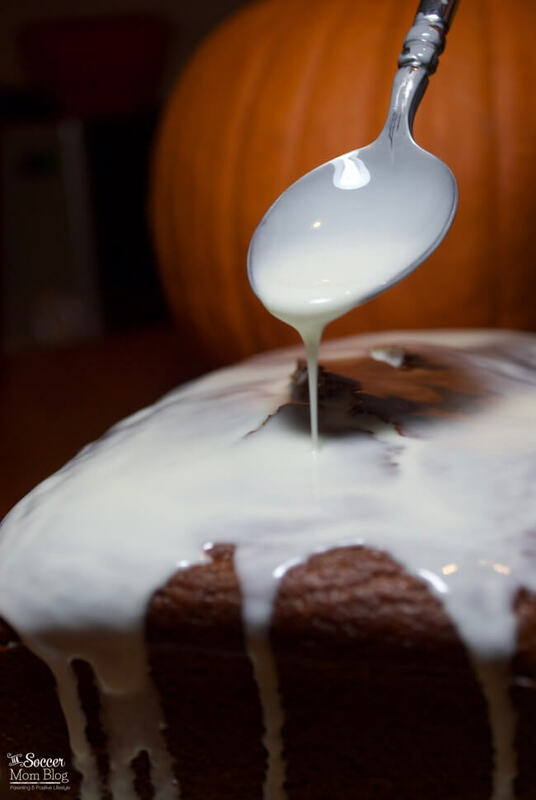 We coated our gluten free pumpkin loaf with a white chocolate glaze. Allow loaf to cool completely before applying the glaze. 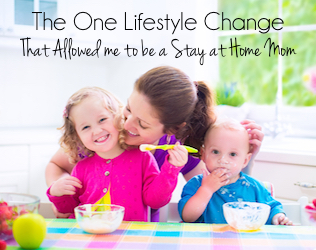 A free printable copy of the recipe is available at the end of the post. 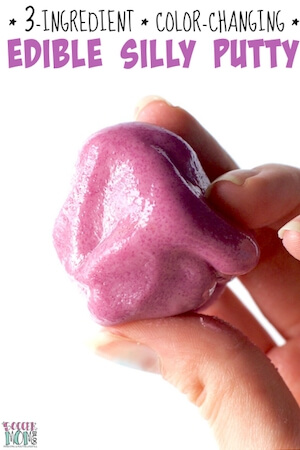 We used this amazing 2-ingredient “magic” coconut oil frosting recipe! 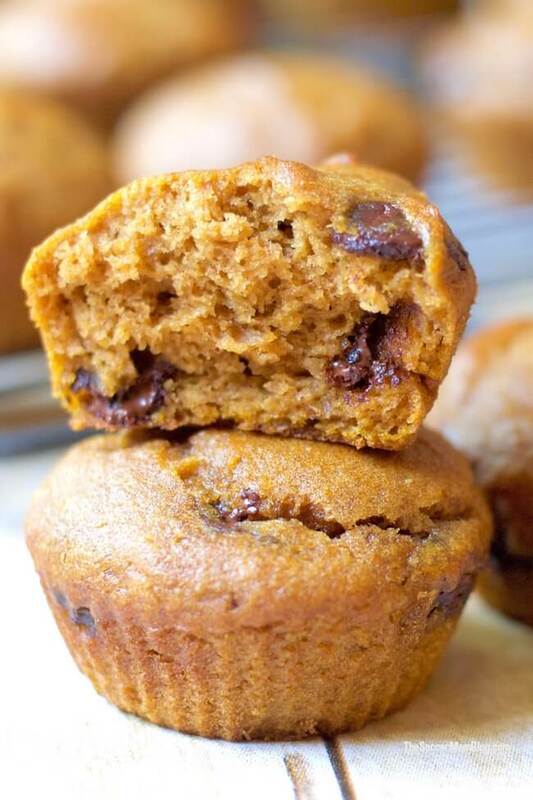 TIP: As shown in the video (located in recipe card at end of post), you can also top your gluten free pumpkin bread with caramel and nuts. 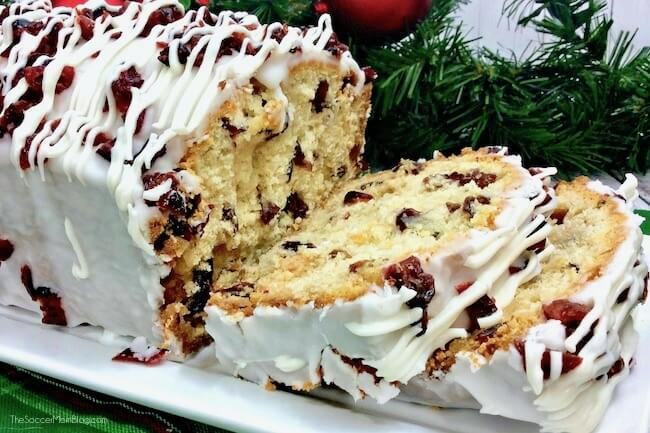 Be sure to check out our Copycat Starbucks Cranberry Bliss Bread too! 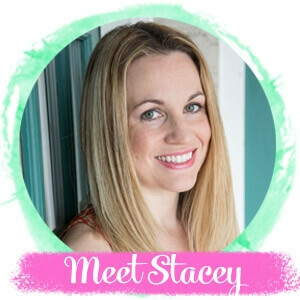 Sign up for our weekly recipe share newsletter below – it’s free! If you love this recipe, rate it! We’d also love hear what you think in the comments below. 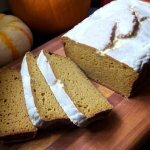 Hands-down the BEST Gluten Free Pumpkin Loaf ever! 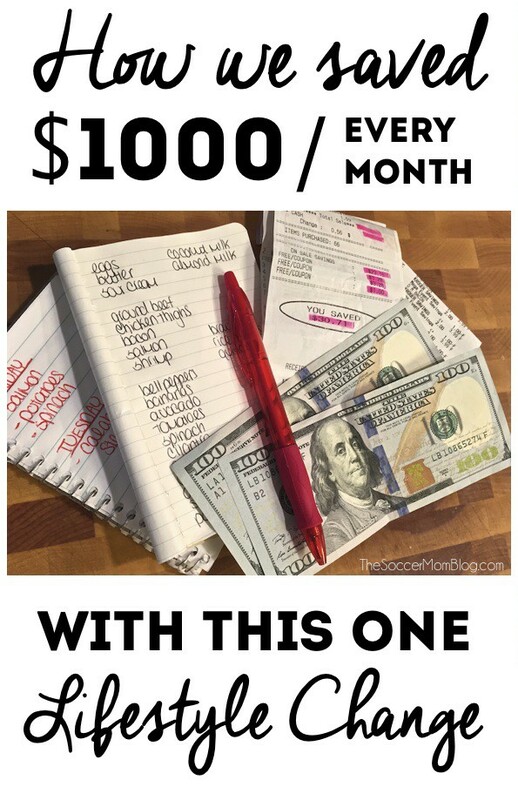 It's even better than the "real" Starbucks pumpkin loaf! Preheat oven to 350°F. Add sugar, oil, sour cream (or mayo), and eggs to mixer and beat until well combined. Add rice flour and tapioca starch and continue mixing until those ingredients are fully incorporated. Add pumpkin puree and continue mixing until incorporated into the batter. Add baking powder, baking soda, and baking powder and mix until all ingredients are well combined. Pour into a greased loaf pan and bake at 350°F for 28-30 minutes.